We thought roller skaters were out this year, but we were back by last minute demand. 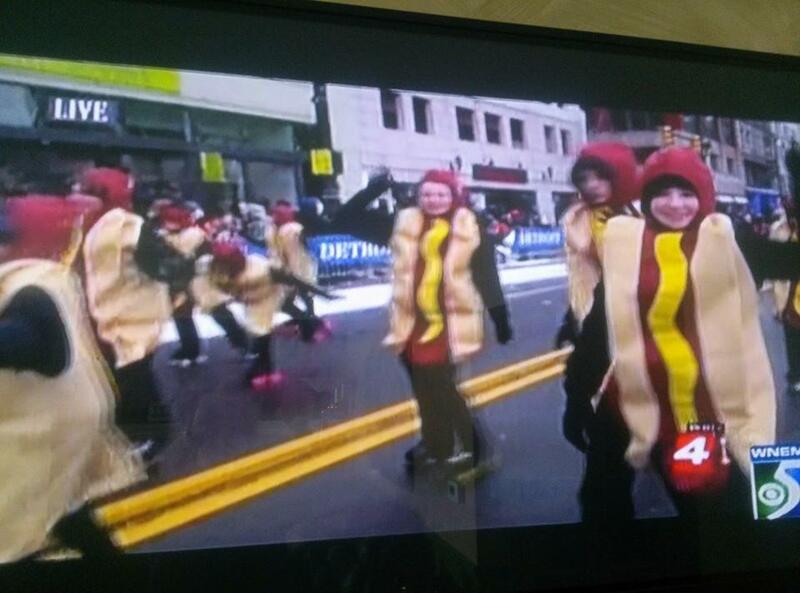 Michigan USA Roller Skaters stepped off into America’s Thanksgiving Day Parade to skate in front of the Little League Float as the National Coney Island skating hot dogs once more. The route was a little longer this year (2.9 miles), and skaters entered the national TV ZONE at about 11:25am. The skaters are limited by the changing surface conditions along the route, but spectators on Woodward Avenue got to see everything from a train of skating hotdogs to individual skaters performing axel jumps and camel spins.